This video continues a series on the rules of inference, which are deductively valid argument forms. This video focuses on rules that use if-then statements, what logicians refer to as conditionals. The rules covered here are modus ponens, modus tollens, and hypothetical syllogism. In symbolic logic, the ⊃ symbol is used to express what is called a material conditional. 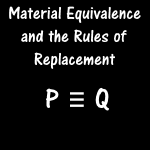 The material conditional p ⊃ q says that if p is true, then q is true. But the conditional that is expressed here is not one of cause and effect or meaning; it is simply one of relations between truth values. 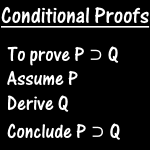 In other words, p ⊃ q is false whenever p is true but q is false, and it is otherwise true. This may seem counterintuitive given how we use if-then statements in English, but it captures enough of the logical essence of conditionals to allow us to use them in formally valid arguments. 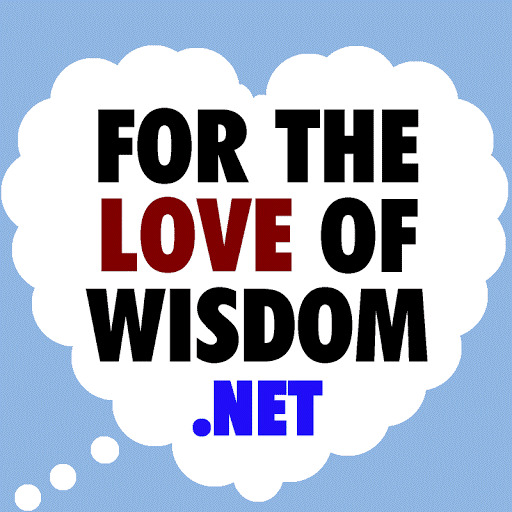 The first proposition in a conditional is called the antecedent, and the second is called the consequent. With the rule of Modus Ponens, we can infer the consequent of a conditional from the conditional and its antecedent. The rule of Modus Tollens lets us infer the denial of the antecedent from a conditional and the denial of its consequent. 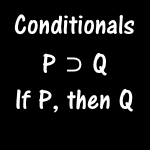 The rule of Hypothetical Syllogism makes use of the transitive property of conditionals. When the consequent of one conditional matches the antecedent of the other, you can drop out the shared propositions and infer a conditional whose antecedent matches that of one conditional and whose consequent matches that of the other. The video makes use of truth tables to demonstrate the validity of these three argument forms, and it covers them in more depth than this short synopsis has.